I live for crisp fall mornings, big blanket scarfs, boots, cozy sweaters, and snuggling up by the fire like any girl, but I do get a little sad when it is time to put away my summer clothes: the fun, bright, happy colors, and florals on florals on florals?! Well, thankfully Ted Baker has us covered and could never go a season without vibrant color and pretty patterns. 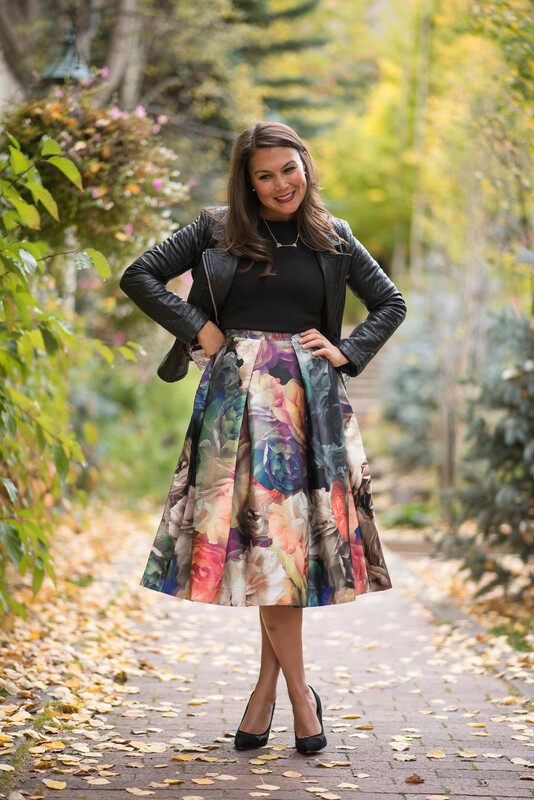 The deep beautiful colors in this dress are so perfect for a fall cocktail party and even Thanksgiving - the full, floral skirt could not be more ladylike and feminine. For those new friends who didn't know me during my rebellious years, I was convinced at one point in my life that it was a very good idea to get a nose ring (just a little guy). Although my parents were incredibly upset when I showed up one weekend from college with my new accessory I convinced them since everything else about me was so preppy I needed something to give me a little edge (didn't hear any arguments). On my 25th birthday, after several years together, I decided it probably didn't look the most professional when assisting with non profit committee meetings and attending congressional hearings on Capitol Hill and decided it was time to say "goodbye".... Jonny does make comments about bringing it back a little more often than I would have imagined. Since then I have learned to be expressive through my clothing (thank goodness). I love pairing a super feminine look, like this dress, with a masculine element, like this BB Dakota faux leather jacket which is available at Blitz Boutique (also like this one and this one ($24.90) - which I have two of). 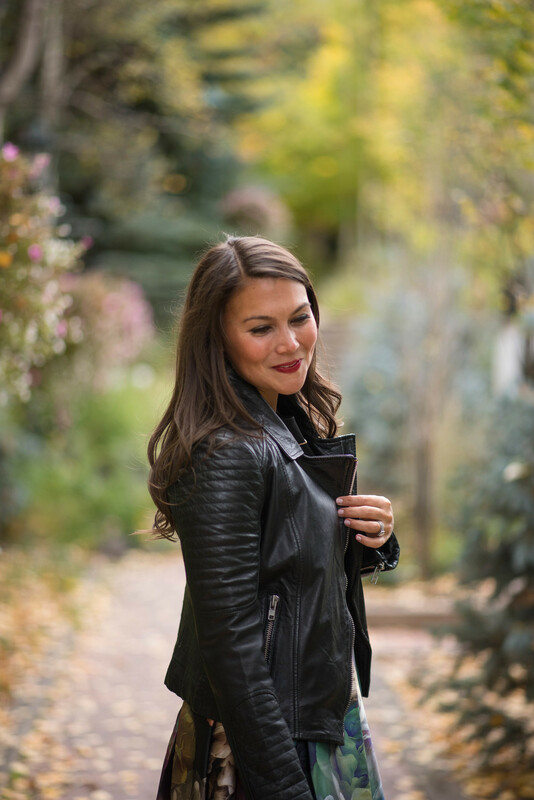 The pairing of sassy and sweet is always a lovely combination and adding a leather jacket over your prettiest pieces is a great way to do that. I was lucky to work with the sweetest photographer in Vail, Jenny Nelson on this shoot. She and her husband typically shoot weddings in Vail and Santa Barbara - if you are looking for a photographer in either area definitely look them up!